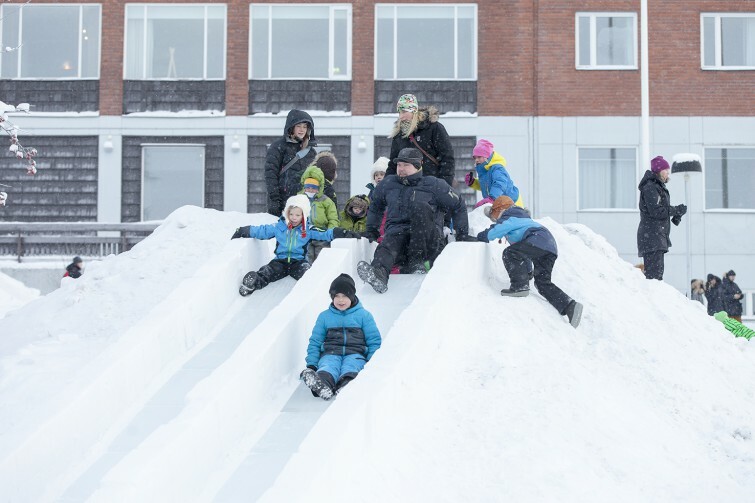 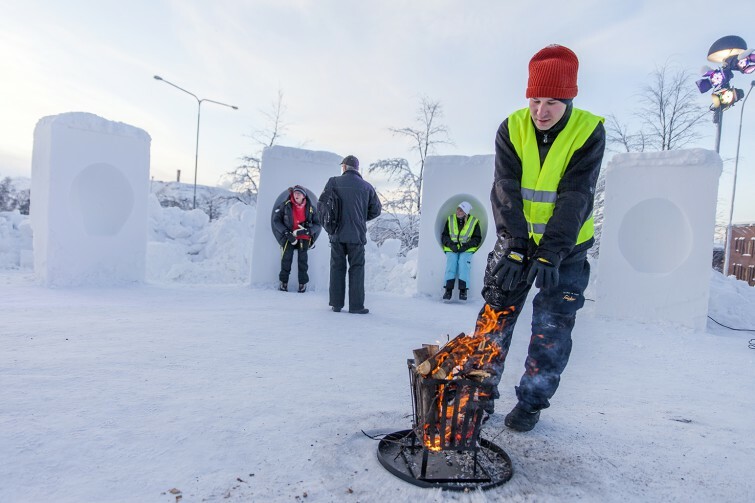 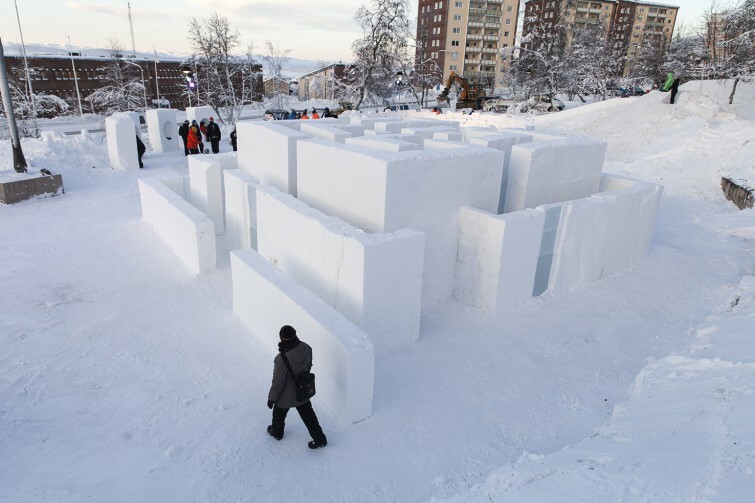 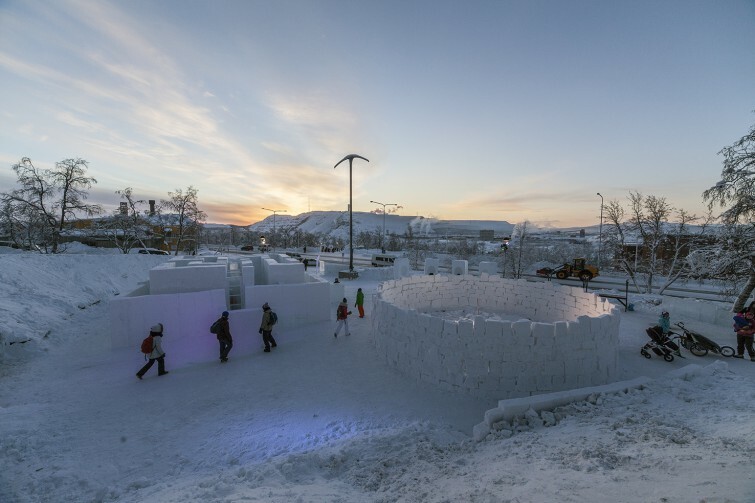 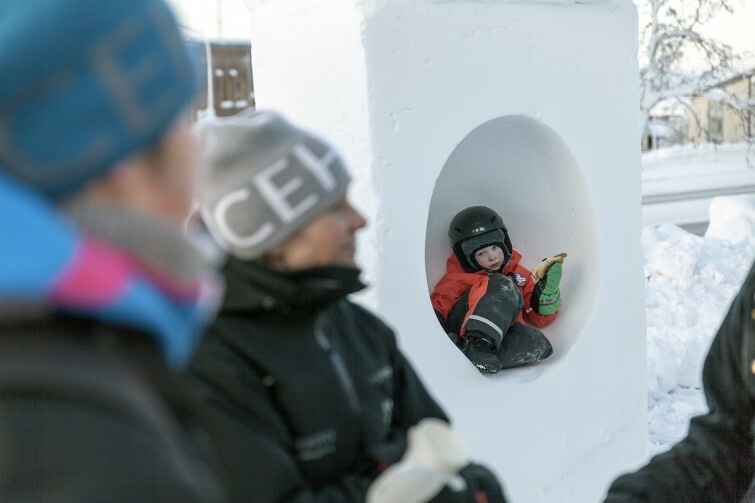 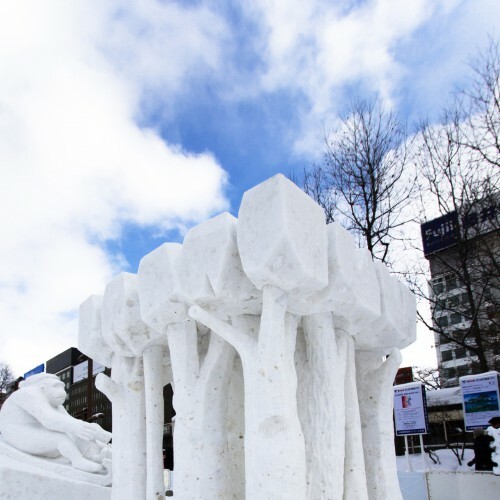 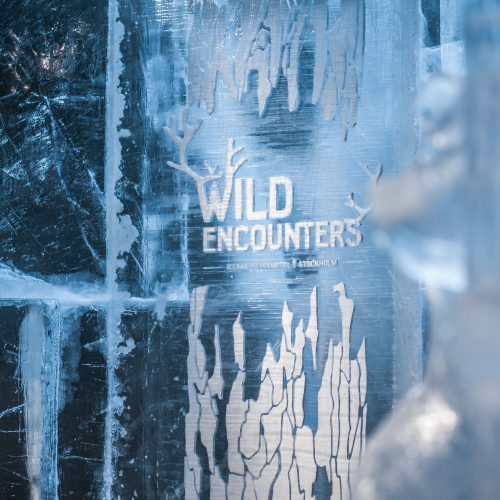 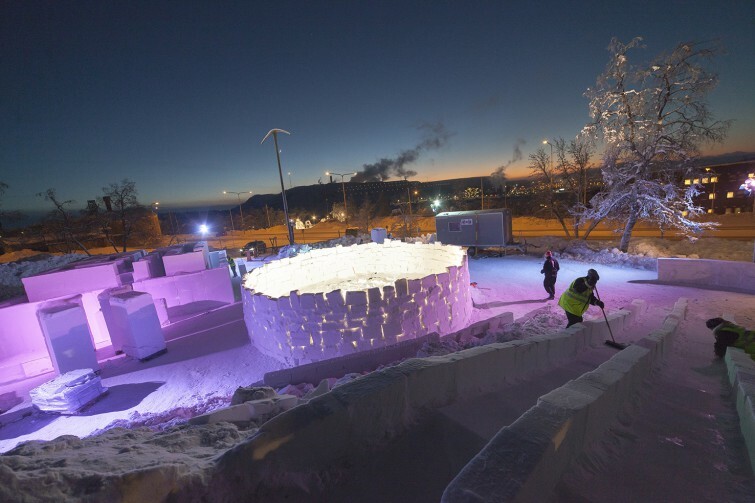 In January 2015, Christian Strömqvist and Karl-Johan Ekeroth of PinPin Studio created a Winter Playground for the winter festival in Kiruna, Sweden. 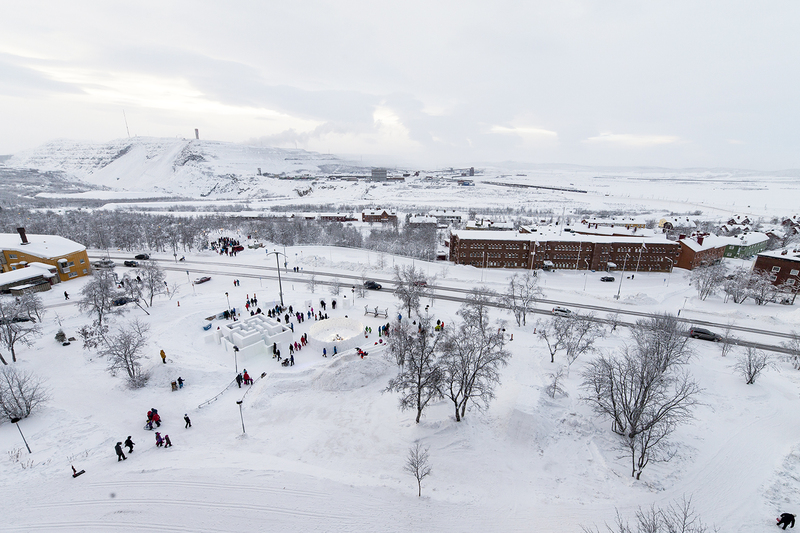 Together with ICEHOTEL, LKAB, Tekniska Verken and students from Hjalmar Lundbomsskolan, the playground was built in less than a weeks time. 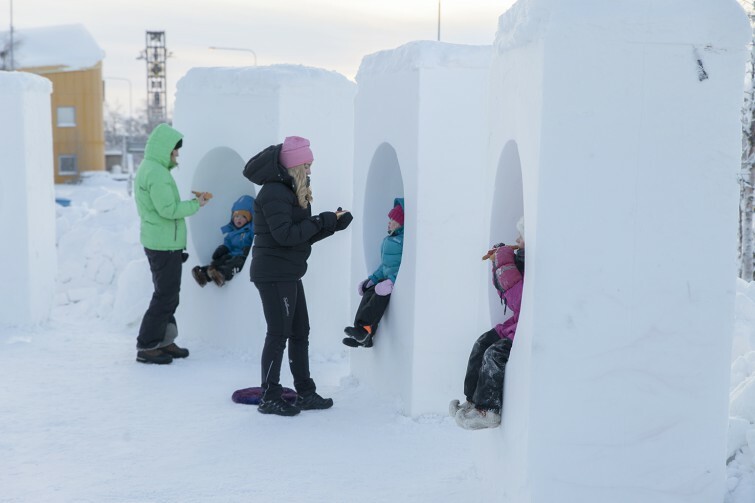 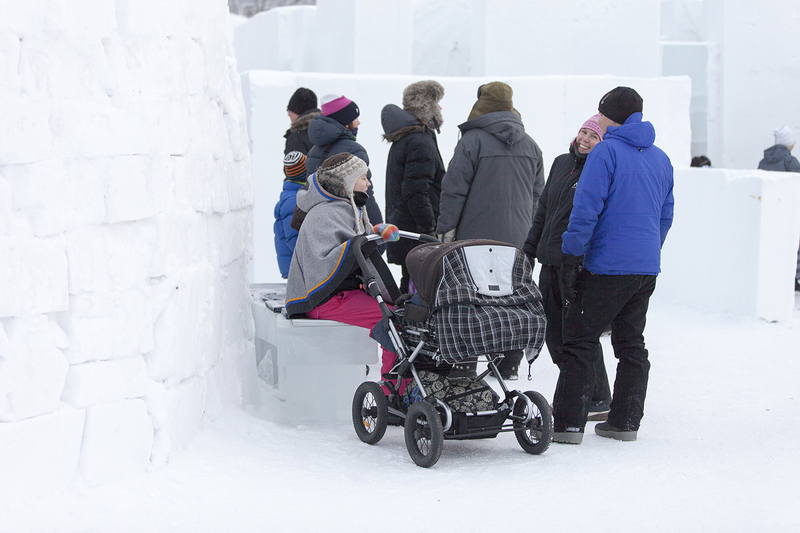 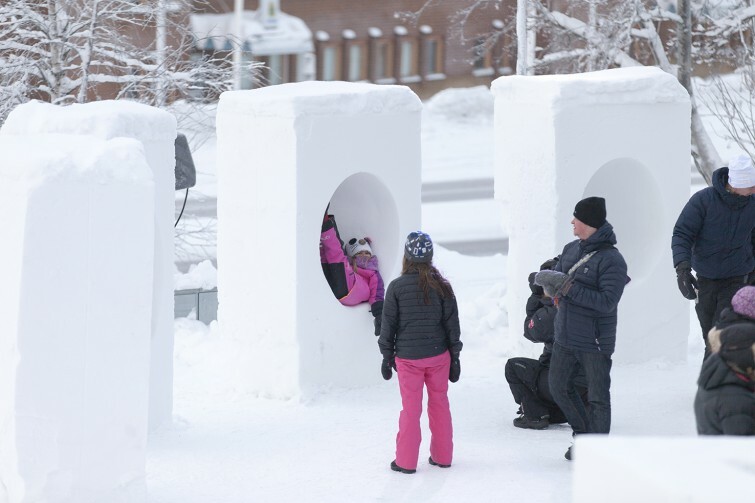 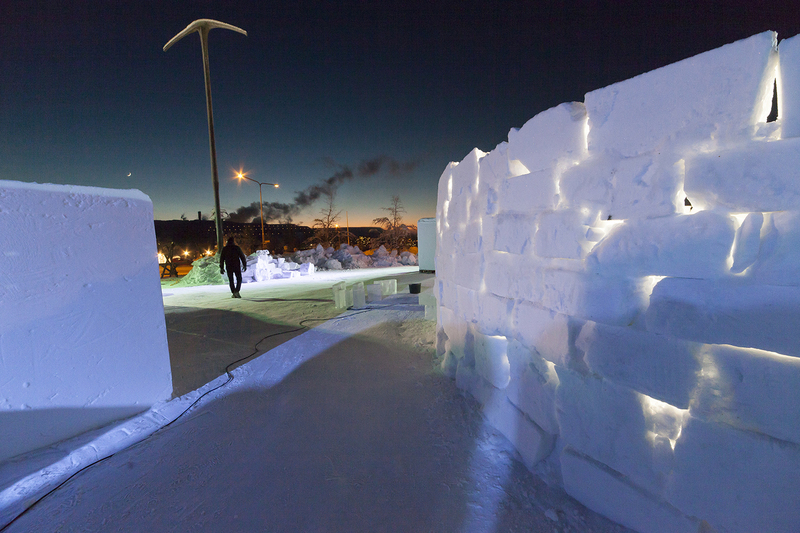 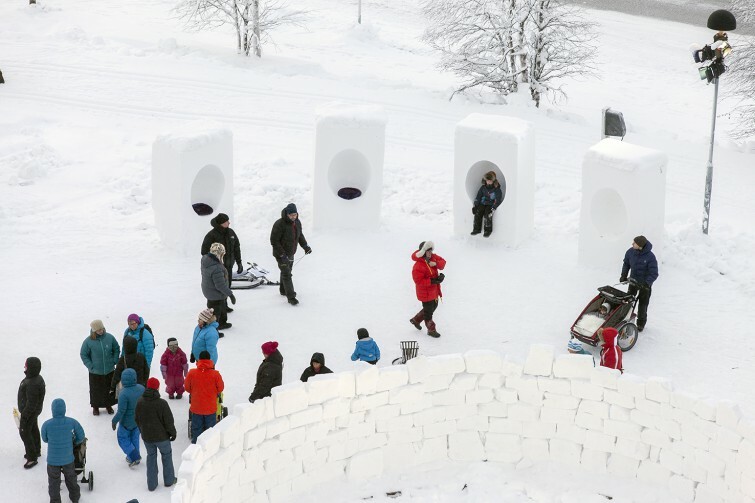 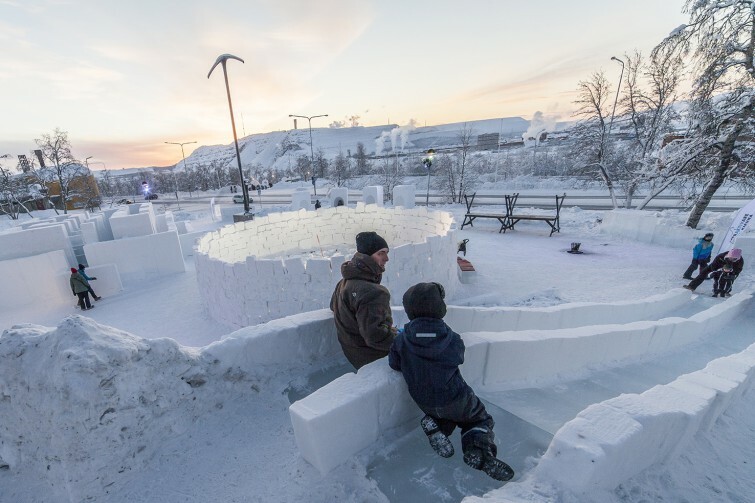 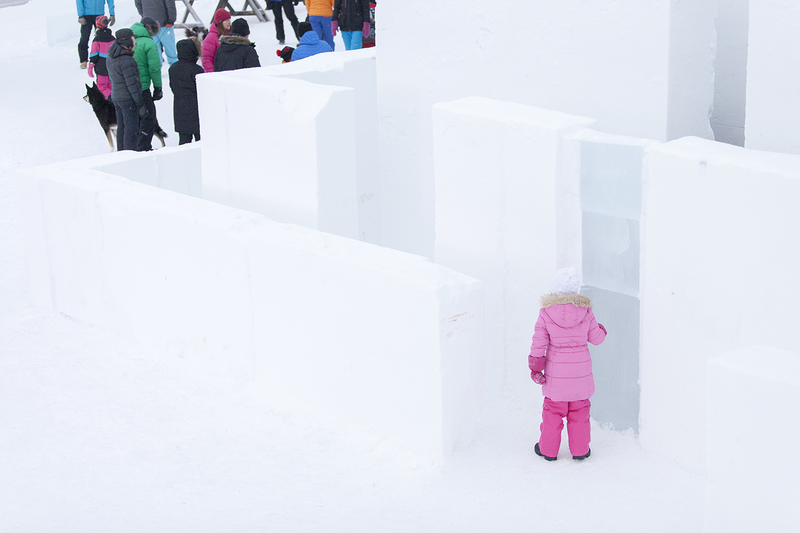 The Kiruna Winter Playground features a big maze, two slides, a huge snow lantern, four egg-shaped seats and benches made out of ice. 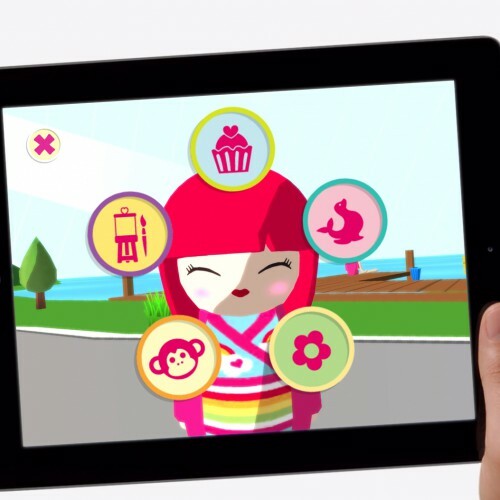 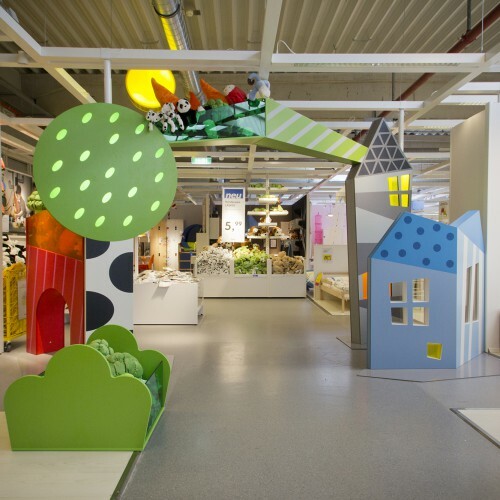 The inspiration and key elements behind the playground is adventure and exploring. 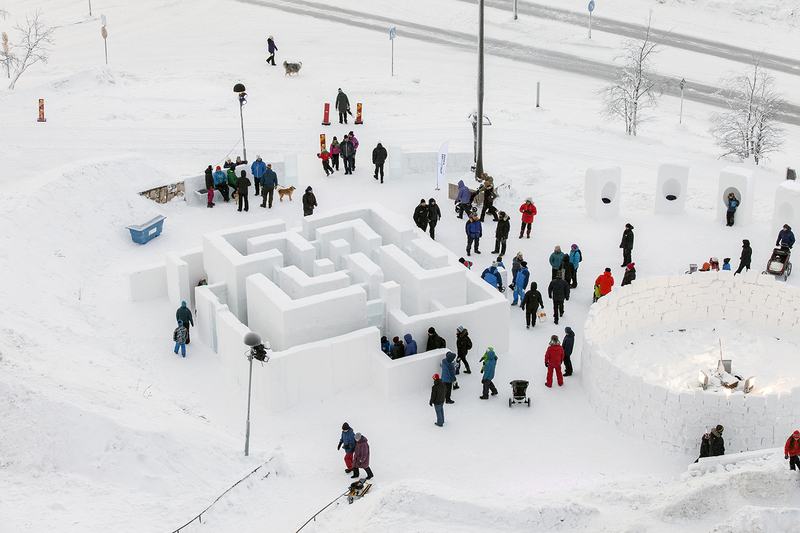 PinPin wants the visitors to the park to feel like they are explorers finding a lost city in the middle of a snow and ice jungle. 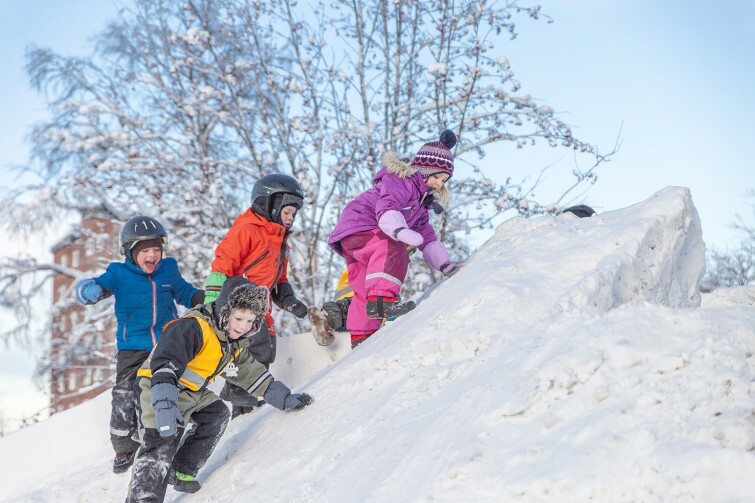 The imaginary play is just as important as the active play. The maze is three meters high, and features walls made of both ice from the Torne River and hard packed snow. 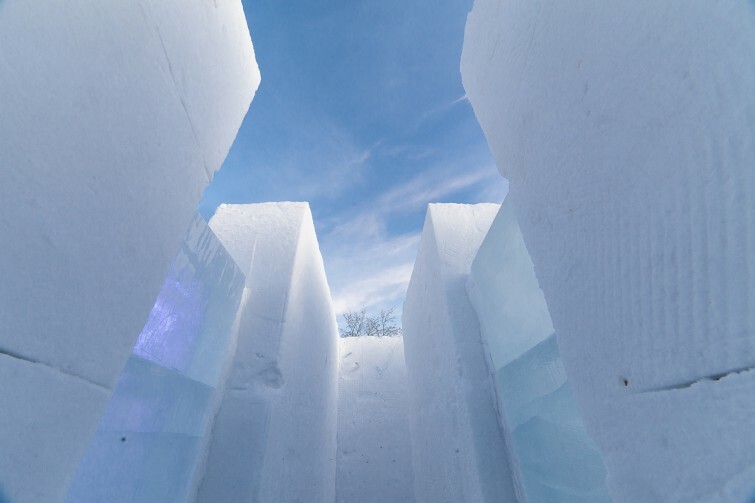 When you find your way into the middle of the maze, you will be able to see light through the ice walls at all four different directions. 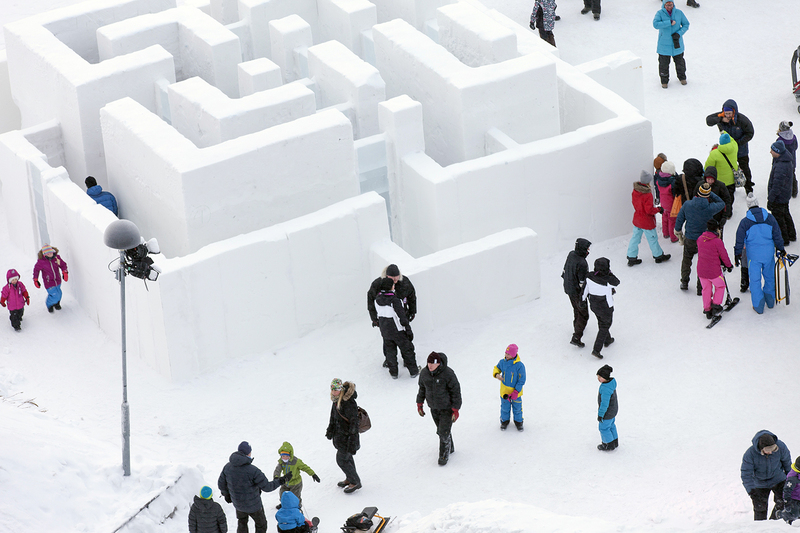 The ice walls forms a cross that runs through the whole maze, and enhances the directional confusion. 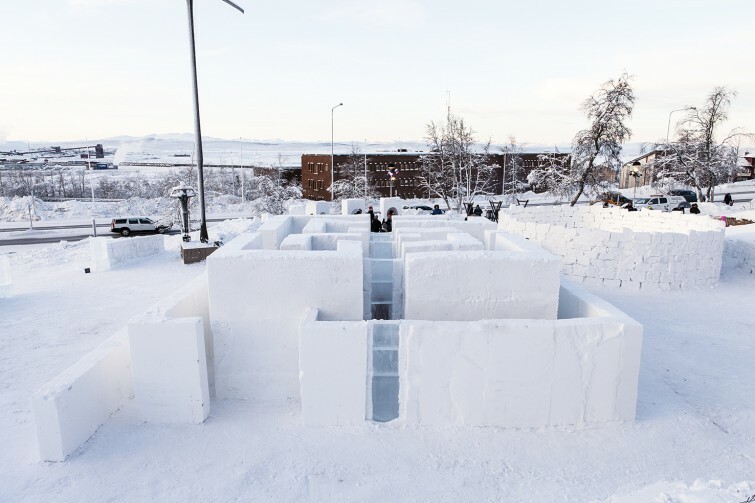 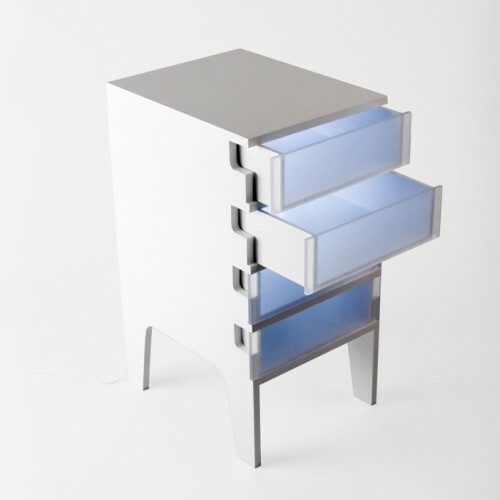 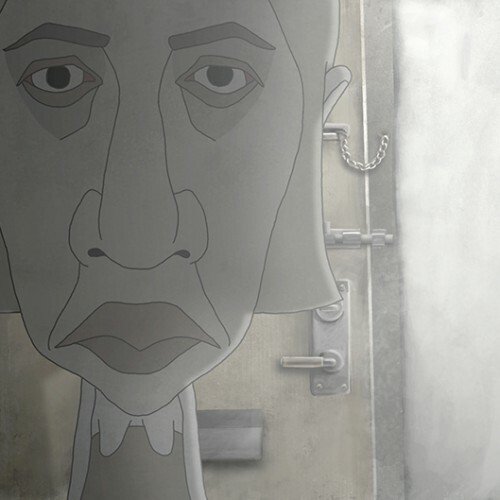 With the maze, PinPin wanted to build a structure that has a monumental expression and a visual attraction at the same time as it contains a strong play signal. 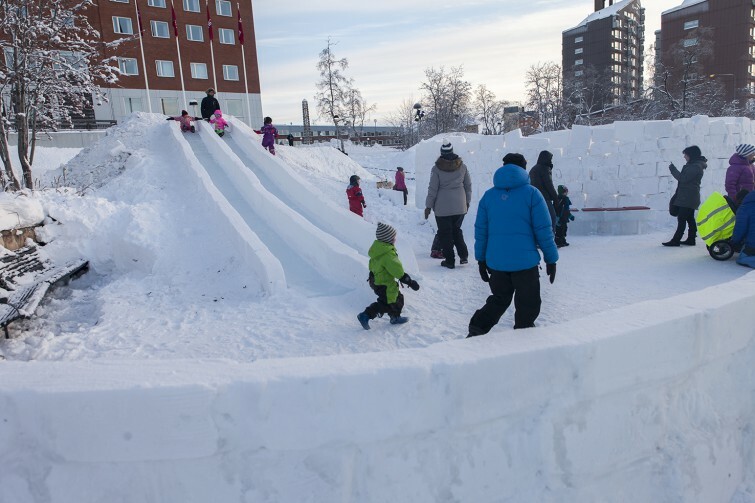 Surrounding the park are two gigantic snow hills, that serve as the start for the slide and helps to define the area of the park. 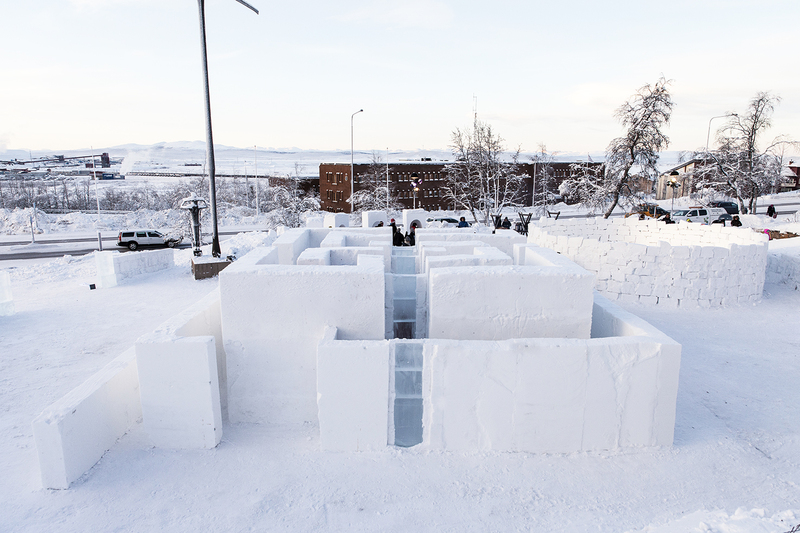 The hills also provides a place to gaze out over the park, and a possibility to look at the maze from above and figure out the correct way. 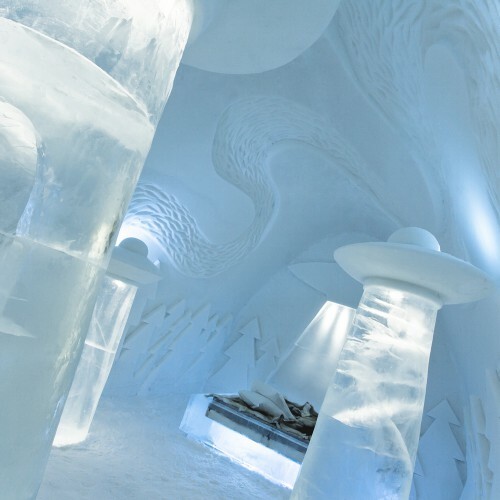 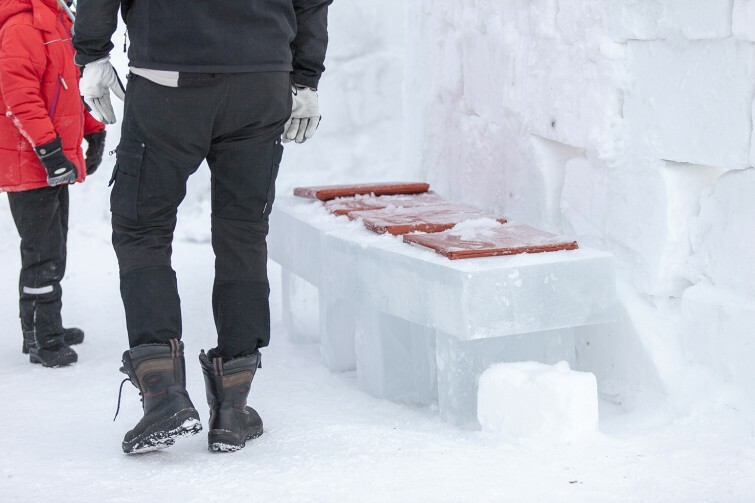 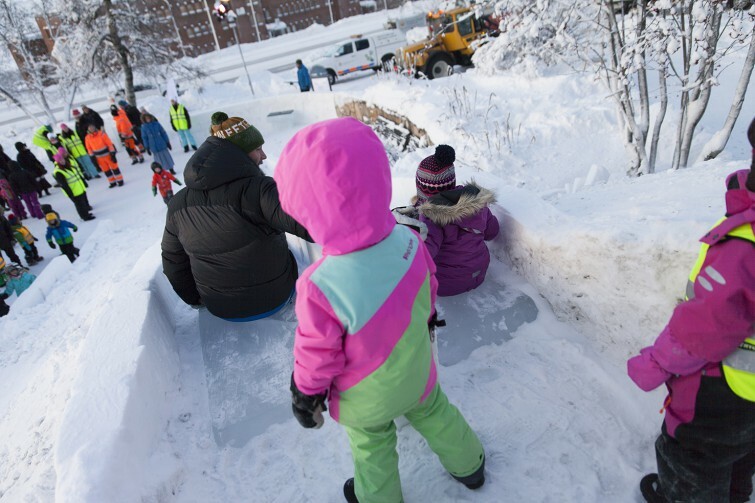 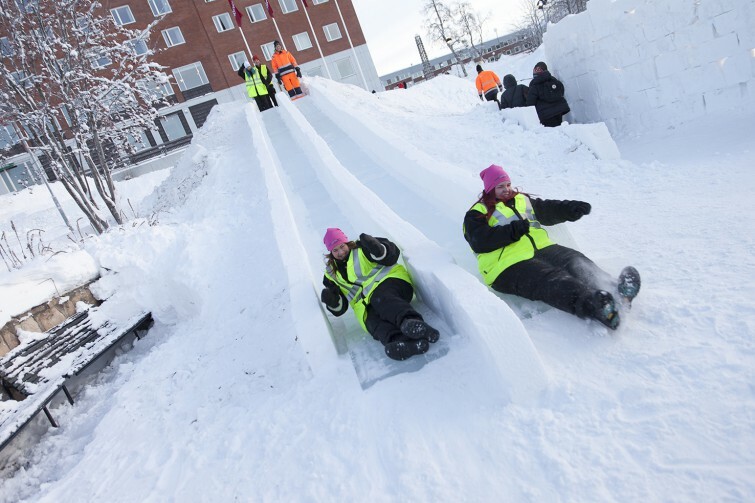 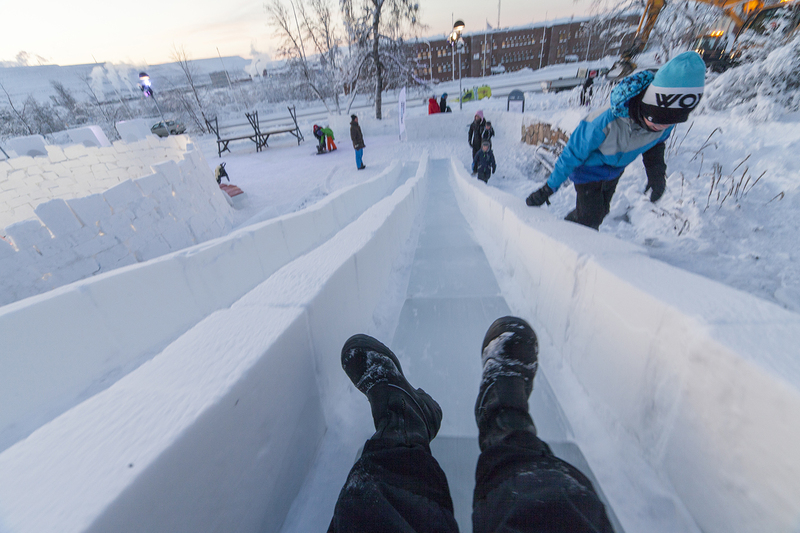 The slide is made out of ice, and contains two parallell tracks that not only makes the waiting time shorter, but provides possibilities for competitions for both young and old participators. 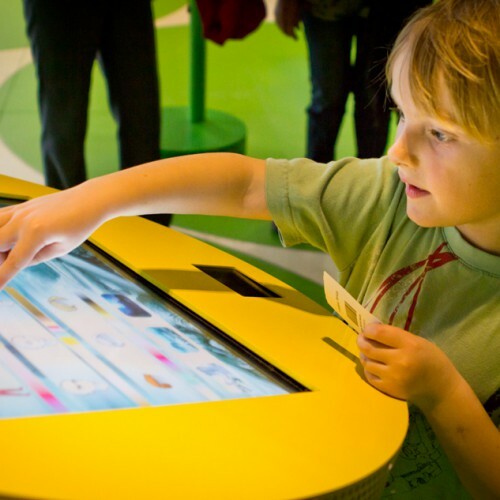 The park is not only made for small children, but is made to be an adventure for everyone. The park is free of charge, and open for visitors until the sun will melt it down sometime in April.